Kyoto is famous for its display of fall leaves in late November and many tourists visit there at this time of year to see the leaves at the many temples, shrines and palaces. 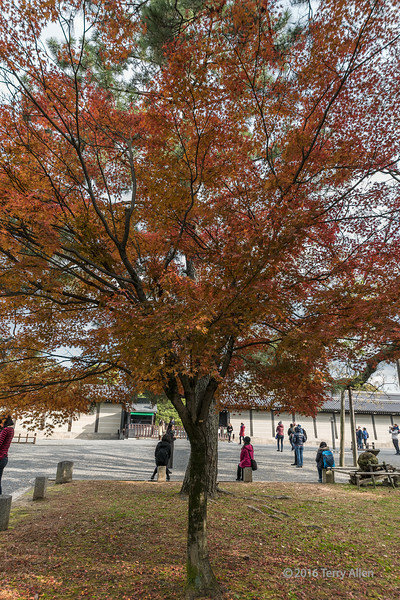 This red maple was outside the tour entrance to the Imperial Palace (visited by special permit) and behind the tree you can see people waiting at the Seisho-mon gate at the palace wall for the tour to begin. What pretty colors on the leaves. Nice candid.